Animals should never be abused. Not a cat. Nor a dog. Not even a hamster. We should all act as guardians to these creatures, so when some cruel human makes the conscientious decision to harm one, it escapes all logic. And compassion. And, for that matter, humanity. 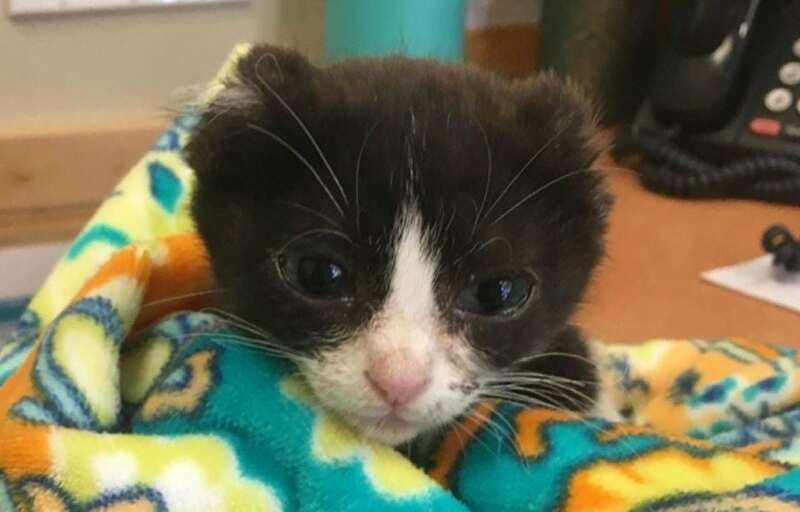 When cruelty is wrecked on a kitten, as happened to a tiny one in the Bay Area, who lost her ears and tail in a deplorable act, it is even more heartbreaking. 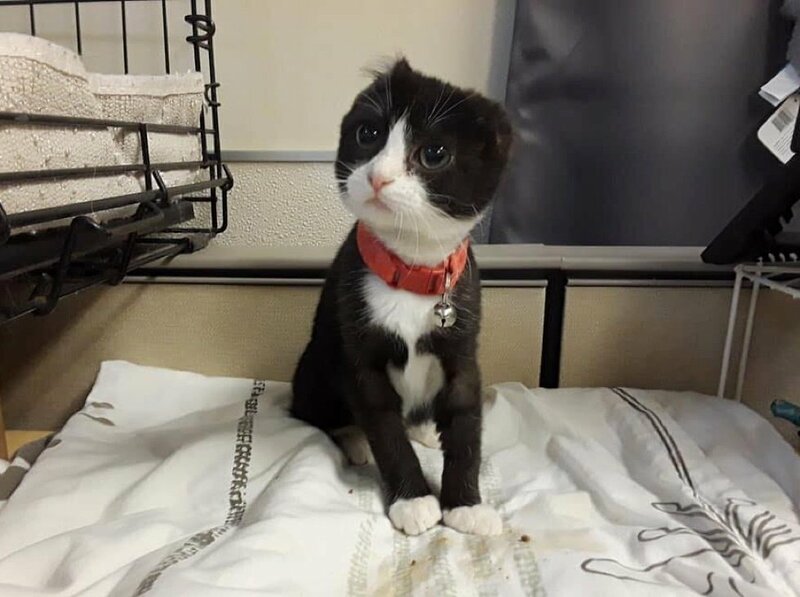 Brought in as a stray to the shelter, the 3-month-old kitten had lost both of her ears and her tail. Staff contacted the Humane Society of Silicon Valley in the hopes they were equipped to give the special care required. 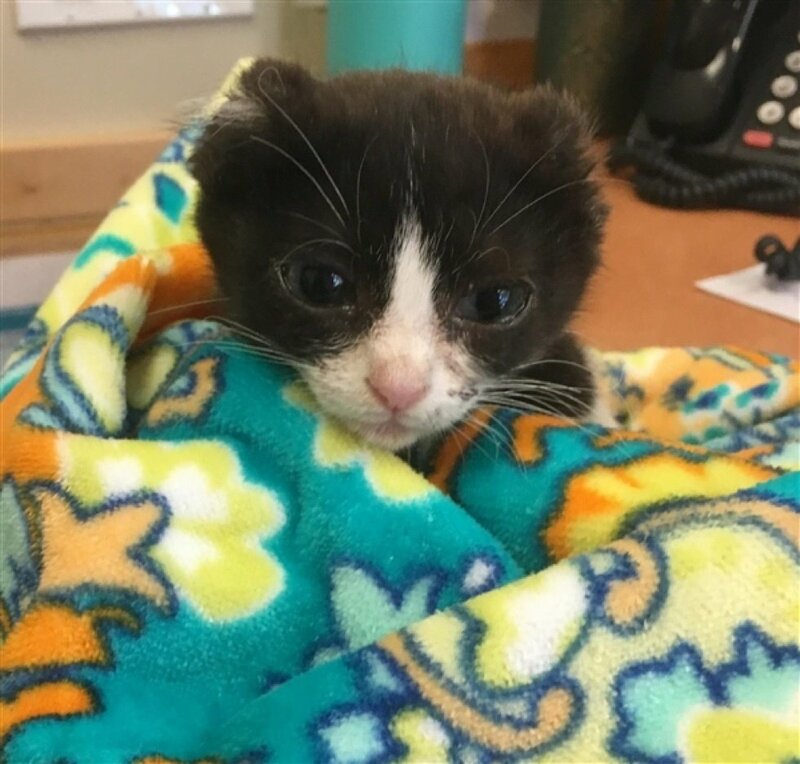 The atrocity alone was enough to break anyone’s spirits and what this kitten needed was some tender care and lots of love. HSSV has established a strong reputation as a partner organization able to help community shelters with animals facing extensive medical or behavioral challenges. Named Karma, it was no wonder the little kitten was distrustful of people, the ordeal she had weathered. Frightening for anyone or any animal, let alone a baby. Team members worked to earn her trust and she began to respond. “The wounds were mostly healed, but understandably, she was very frightened of almost everything, especially humans,” publicist for the Humane Society Silicon Valley publicist Michelle Nicholson told Love Meow. Karma settled into a foster home where she could start rebuilding her life. 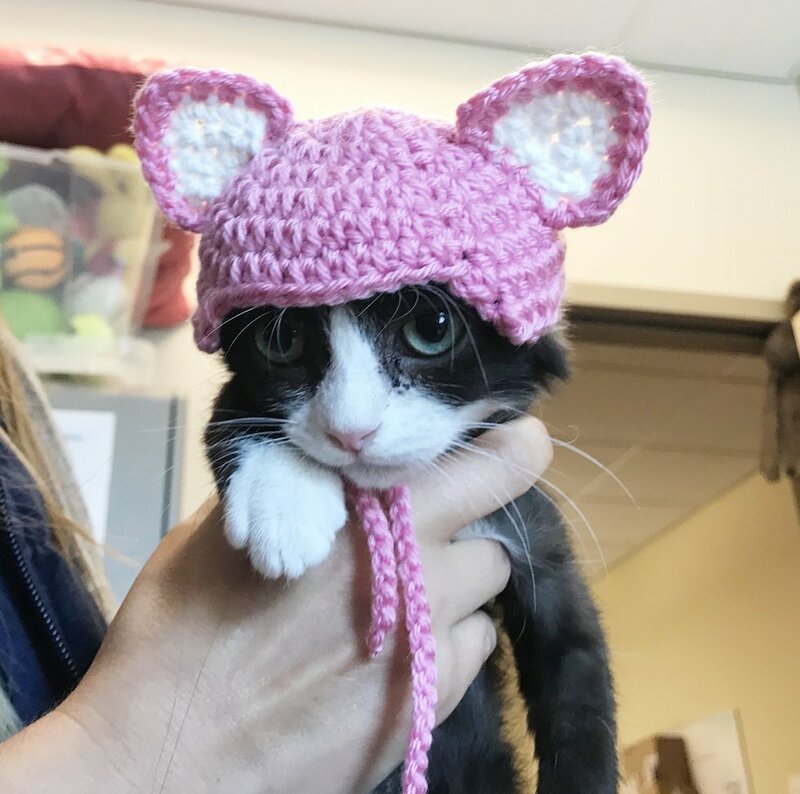 One volunteer with HSSV, Carla Berti, felt a special bond with the kitten she spent time with and knew she wanted to make a difference, in some small way, for her. 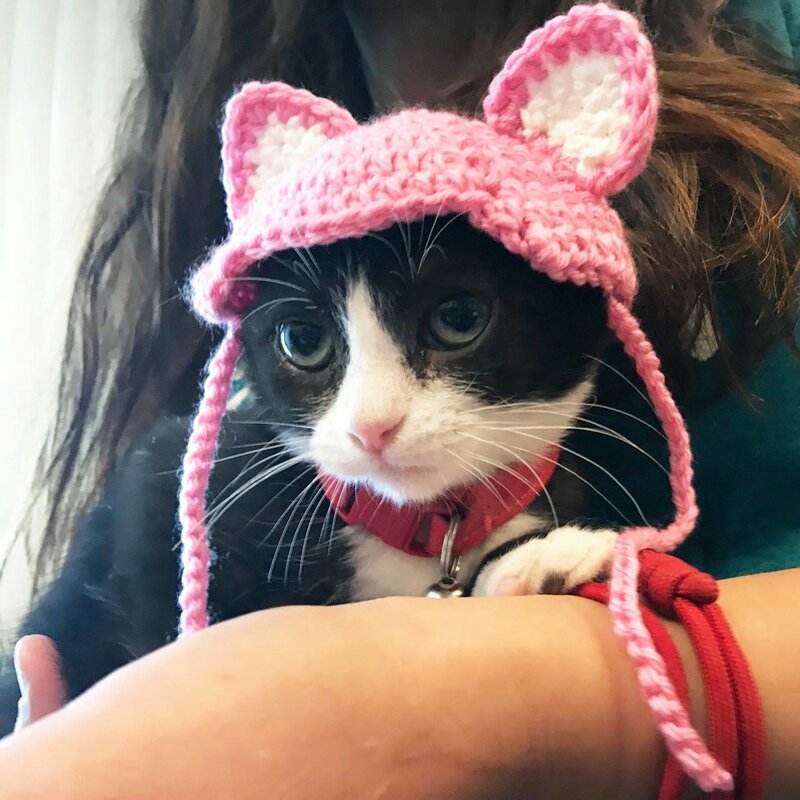 “My friend said Karma needed some ears, so I decided to crochet her some pink ears,” Carla said. Inspiration hit and Carla set out crocheting some pink ears, in addition to a matching toy mouse and kitty bed. When she brought in the goodies, it took a moment, but the kitten soon took to her bed and mousie. And, of course, she looked cute as can be in her new pink ears. “With time and lots of love and care, her personality began to blossom. She quickly showed a love for toys, and her foster mom used toys and play to start to create a bond with her,” Michelle added. The kitten did well with her foster family, adult cats and dog, included. She was ready for a new home. Karma’s new mom came to the shelter with the expressed intention to get this little girl a home and loving family. Within one day of being on the adoption floor, she was heading to her forever home alongside a new sibling. 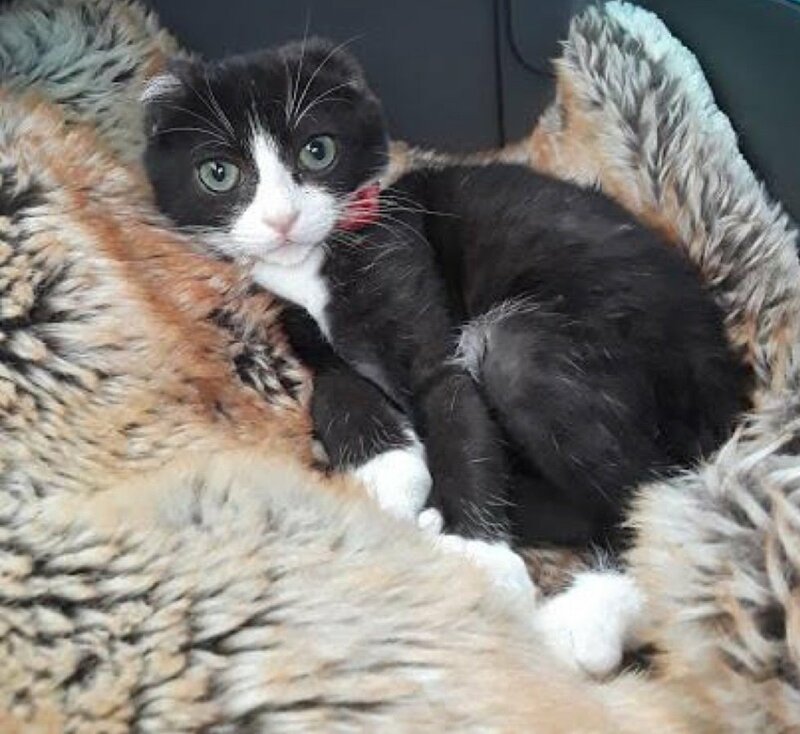 A happy ending for a sweet kitten who is a real survivor. You can help support the Humane Society Silicon Valley in their many efforts by clicking here. And be sure to follow them on Facebook and Instagram. So glad this story had a happy ending sadly so many do not.